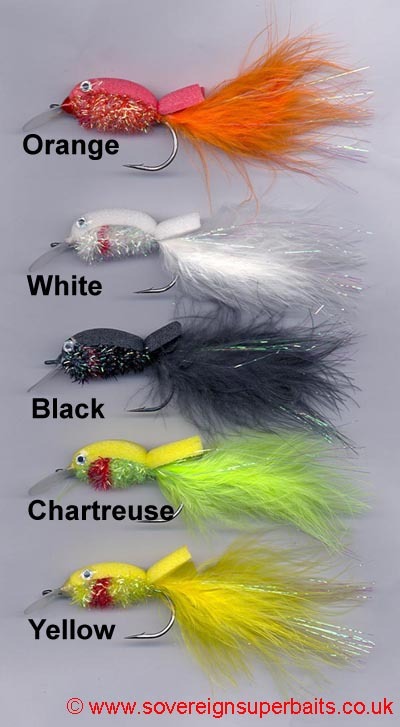 Pike Wobbler Flies: These are the latest addition to our Pike fly range. They are on a 6/O hook and are 5” long and weigh approximately 3g. They therefore need to be thrown on at least a 9#wt outfit. They are highly buoyant with 3D holographic eyes and a built in diving lip which when stripped on a sinking line makes them dive very convincingly. They have also been used to great effect on ultralite spinning gear as they are heavy enough to cast and their diving lip makes them crankable. 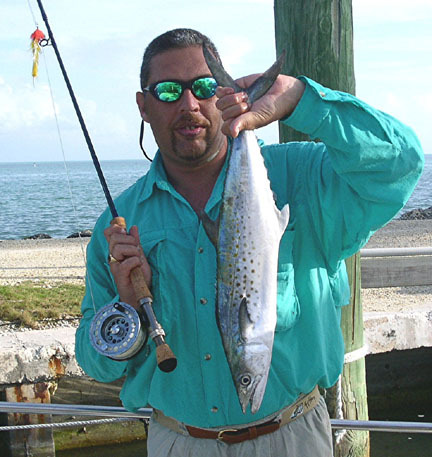 Peter Finnis with a 7lb Spanish Mackerel caught on a Sovereign Jive Bunny. Sovereign Pike Flies (1): Below (Numbers match those in picture below) are a range of flies designed for pike by our resident fly fishing specialist, Pete Finnis. 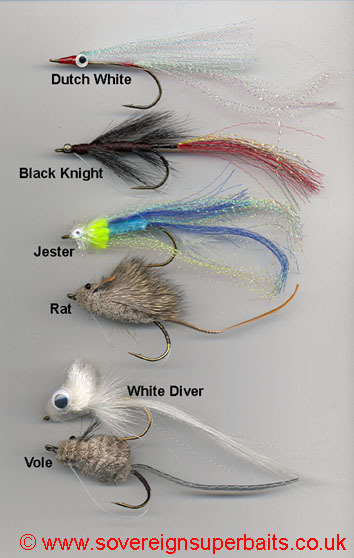 These include a range of rabbit strip flies which we call “Jive Bunnies” available with or without foam heads. Our own version of a Clouser minnow plus the first ever fly designed specifically for catching zander, the “Zed Head”. Further down the table there are a range of flies suitable for both freshwater and salt, numbers 7 to 15. 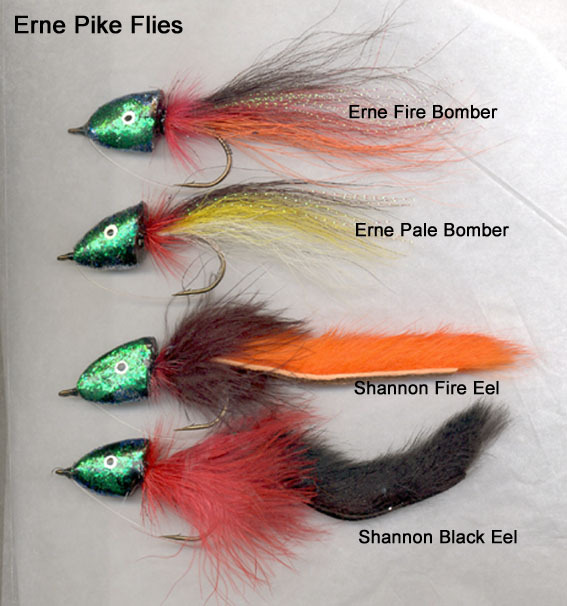 Erne Pike Flies: Here we have a small range of traditional irish pike flies, small enough to cast easily but with a big presence in the water.